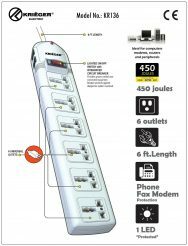 KRIEGER Professional series Universal Surge Protector. Will accept most of the plug types from around the world, including: UK, US, all of Europe, China, Australian and more! The AC surge suppression for full protection of 220-250V workstations desktop PCs tele systems and other sensitive electronics. Built-in AC surge suppression shields connected equipment from damage and performance problems due to transient surges. 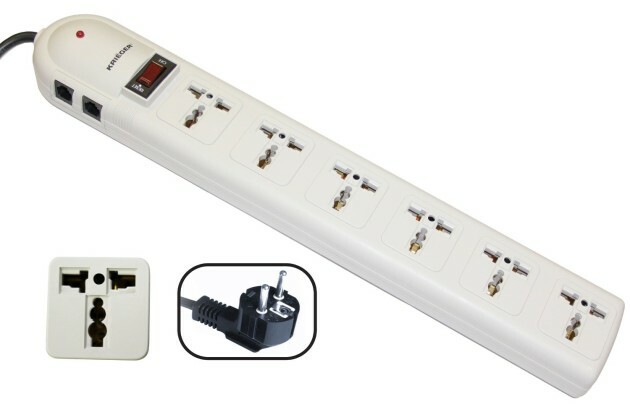 The KR136 offers 6 Universal outlets and a length of 6 ft with German/French plug. AC suppression rated at 450 joules shields equipment from surges and line noise. Lighted on/off switch with integrated circuit breaker provides power control over connected equipment. 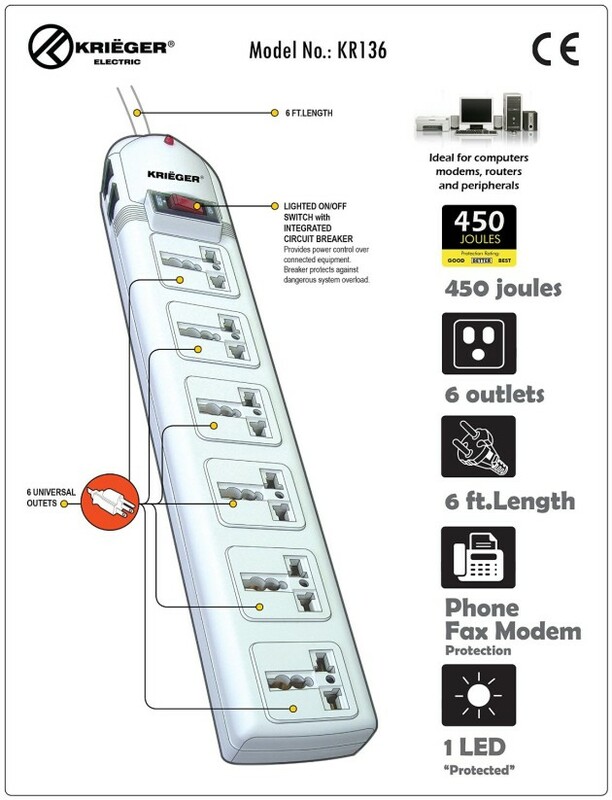 Right-angle outlets keep connected cords from blocking adjacent outlets. Attractive light gray high-impact housing.